I read a comment from someone once that said that this song would be on God's mp3 player. I have no doubt. My sincerely promised and yet undelivered inaugural "Your Weekly Top 5 List" is coming. But as many of you may be aware, I'm involved with this tonight. And if this interests you and you're around Oklahoma City tonight, please come. Needless to say, super music brain just doesn't quite have the bandwith to focus on much else in depth today. 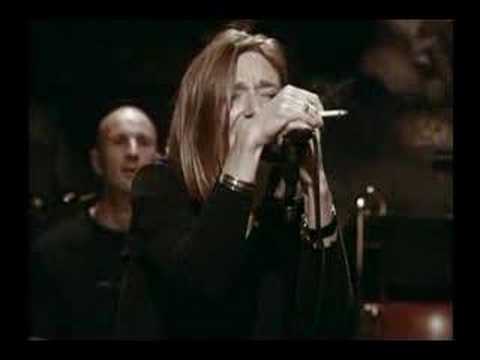 But I felt the need for reasons I can't quite describe--maybe it's the change in weather or my desire to highlight something completely opposite of what my music world has been revolving around lately--to post this video from the greatness of Portishead. While at the age of 32 I'm clearly getting handsomer and awesomer by the day, there is an affection I carry--like many others I imagine--for the times, places, and music of my teenage years. In the way that I felt most adults at that time completely overrated the 70's musically (how silly I was in those days), I'm now certainly a happily functioning hypocrite who feels the same instinctual devotion to the music of the 90's. There's just a "feeling" I associate with memories from that time--in the same way that certain smells remind you of a long since left place or relative or ex. And I simply cannot separate those memories from their soundtrack. Please, do enjoy. And of course, no need to thank me. Even though you probably should. My concern for your music well-being knows no bounds. It's really both awesome and difficult being this selfless.